The weather may be dull, but your skin doesn’t have to be! 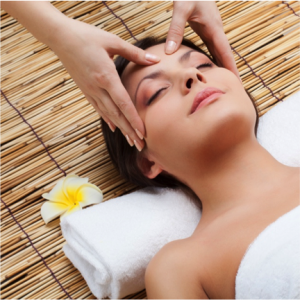 Why not rise above the winter doldrums with restorative and renewing spa treatments in Tulsa at Skin Care Institute? We offer a bevy of beauty treatments, from facials to relaxing massages, to nurture your body and soul. Depending on your goals, there are a number of spa facials in Tulsa that can refresh the skin on your face, neck, and chest. Derived from natural ingredients, our facials are quite a treat for your skin, boosting your skin’s radiance with hyaluronic acid and other naturally-occurring botanical gels and vitamins. For more intense skin therapy, we proudly offer HydraFacial®. This non-invasive skin rejuvenation treatment can improve your skin’s overall appearance without any downtime. HydraFacial can reduce the appearance of fine lines and wrinkles while evening out skin tone and diminishing dark spots. For an ultimate beauty treatment, we often combine the HydraFacial with lip plumping or eye enhancement. Don’t stop there! A massage in Tulsa can offer relaxation and relief from the demands of daily life by improving circulation, relieving acute and chronic muscle tension, reducing water retention, and flushing toxins from the body. Escape from drab winter days with a spa treatment (or two!) at Skin Care Institute. We recommend a consultation to help you decide the best facial or massage for you. Schedule yours today by calling us at 918.948.9639.